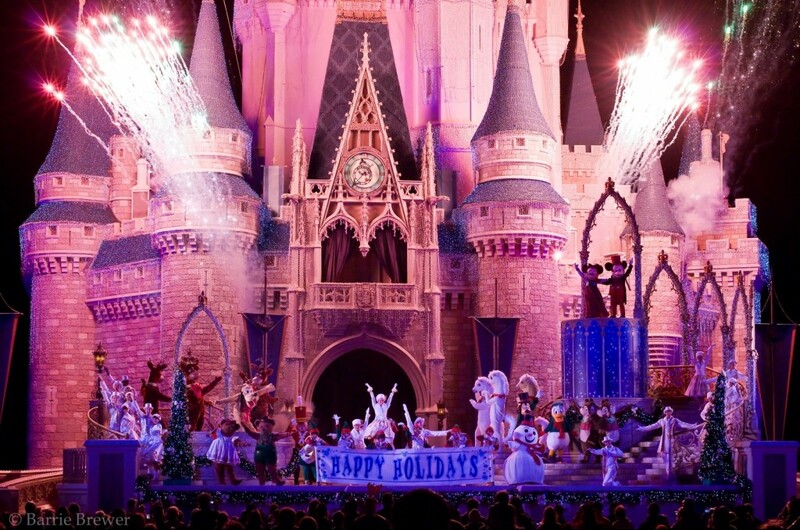 Mickey’s Very Merry Christmas Party returns to the Magic Kingdom tonight! The party will have its longest-ever run with 20 magical nights from November 9-December 21. For a quarter century, Walt Disney World guests have celebrated the magic of the holiday season with this festive tradition of holiday spirit. Beginning at 7 pm, guests with special event tickets to Mickey’s Very Merry Christmas Party can enjoy all the holiday splendor with lively stage shows, spectacular fireworks, a unique holiday parade and favorite holiday traditions including complimentary cookies and hot cocoa, and snow flurries on Main Street, U.S.A.
Santa’s elves have transformed the Magic Kingdom into a winter wonderland with festive wreaths, bows, garland, sparkling lights, parades and towering Christmas trees. The fun includes the Holiday Wishes nighttime spectacular: Celebrate the Spirit of the Season fireworks, plus live entertainment with Disney characters all dressed up for the holidays. 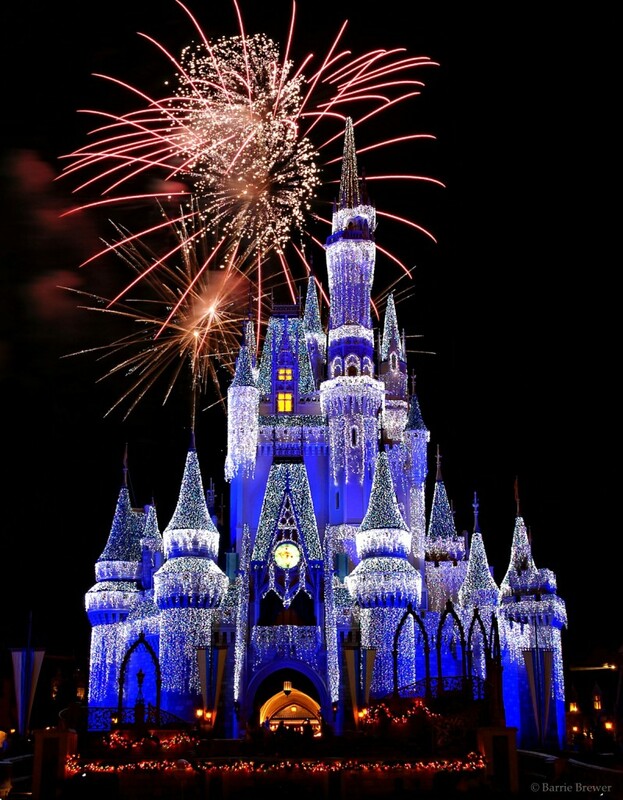 Adorned in Castle Dream Lights, Cinderella Castle transforms into a glimmering ice palace for the holidays – thanks to a special effects spectacle bathing the castle in 200,000 shimmering white lights. Magic Kingdom guests are treated nightly to the dramatic castle celebration and stage show. This year Mickey will be hosting 20 party nights. The party is a special ticket event that lasts from 7:00 pm to 12:00 am. Here are the 2012 party dates and prices (including tax). Tickets can be ordered by calling 407-W-DISNEY. Plan to attend the party on a weekday to avoid the weekend crowds. Weekends tend to be more crowded with locals attending the parties. Purchase your tickets in advance. Even getting them the day before will save you some cash. If you’re set on a particular night, get your tickets as soon as possible as some nights will sell out. If you can, plan to attend on a day that has discount prices. Even if you don’t qualify for the discount, those days historically tend to be less crowded than the other days – that’s why Disney offers discounts on those days. Pick up a party guide/map at Guest Services a day or two before you go so that you have time to look at it and make plans for what you want to do at the party. This way you won’t waste precious party time trying to figure out where things are or what to do next. A good strategy is to decide in advance what your must-dos are and plan around those. That way, if you don’t have time to do everything (a very likely scenario) you won’t leave disappointed that you missed something that was important to you. 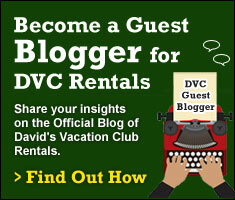 On the day that you are planning to go to the party, save your money and don’t go to any of the theme parks. 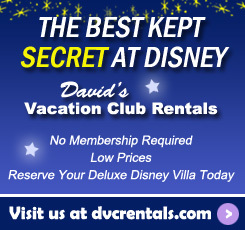 Instead, plan a park-free day and take it easy: sleep in, hang out by the pool, participate in some of the many resort activities that Disney offers, visit other resorts, play miniature golf, go shopping, take a nap. Whatever you do, keep it low-key and get some rest before the party. Partying until midnight makes for a very long day and it doesn’t make sense to waste your money by leaving early because you’re too tired. Arrive early. Although the party doesn’t officially begin until 7pm, in years past Disney has allowed party guests to enter the park as early as 4pm. I expect the same will be true this year. Plan to be done with dinner before 7pm so that you don’t miss any of the party. It’s hard enough to fit everything in without losing an hour to dinner. 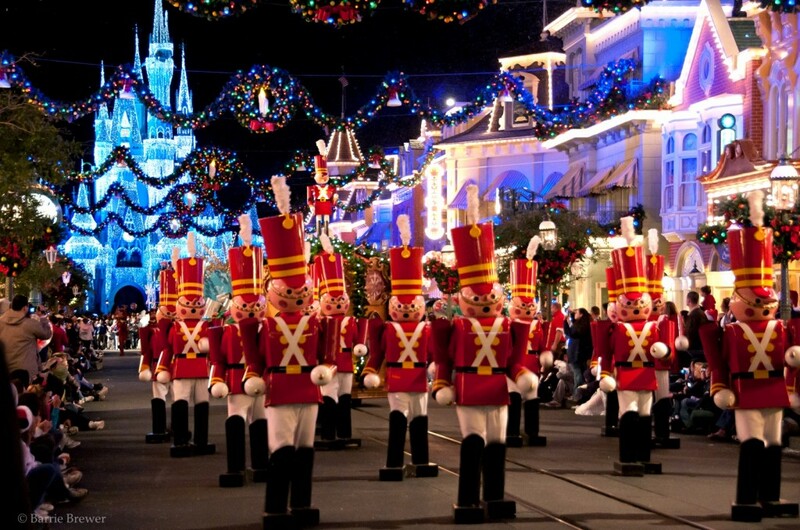 The parade happens twice each night (at 8:15 and 10:30 pm) and it’s a definite must-see! If you think you’ll only want to see it once, then skip the first parade and use that time to ride the attractions when the lines are shorter (because everyone else is at the parade). Then go to the second parade when it’s much easier to get a viewing spot because many people have left for the evening. Regardless of which parade you go to, you’ll find the least crowded viewing areas in Frontierland and Liberty Square. If you’re lucky, you may even snag a place to sit that is off the ground – a great tip for us 50+ year olds! Go to the dance parties – they’re a lot of fun and kids love them. It’s a great way to burn off all those sugar highs before heading back to your room. There’s Woody’s Hootin’ Holiday Open House at the Diamond Horseshoe and Club Tinsel at Cosmic Ray’s Starlight Café. Don’t miss the special Holiday Wishes – Celebrate the Spirit of the Season Fireworks Show at 9:30 pm. The best place to watch from is in front of Cinderella Castle. I think a perfect place for viewing is between Main Street USA and the hub. There are two shows to see: Celebrate the Season Show at 7:45, 10:05, and 11:20 pm and A Totally Tomorrowland Christmas Show at 7:45, 8:45, 9:55, 10:50, and 11:45 pm. The later shows will be far less crowded than the earlier ones. There will be lots of characters to meet, all dressed in their holiday finest – perfect photo ops for next year’s holiday cards! Like all the other lines, the lines for characters get shorter as the evening wears on, so if you missed some earlier you might double back to see if you can catch them later. 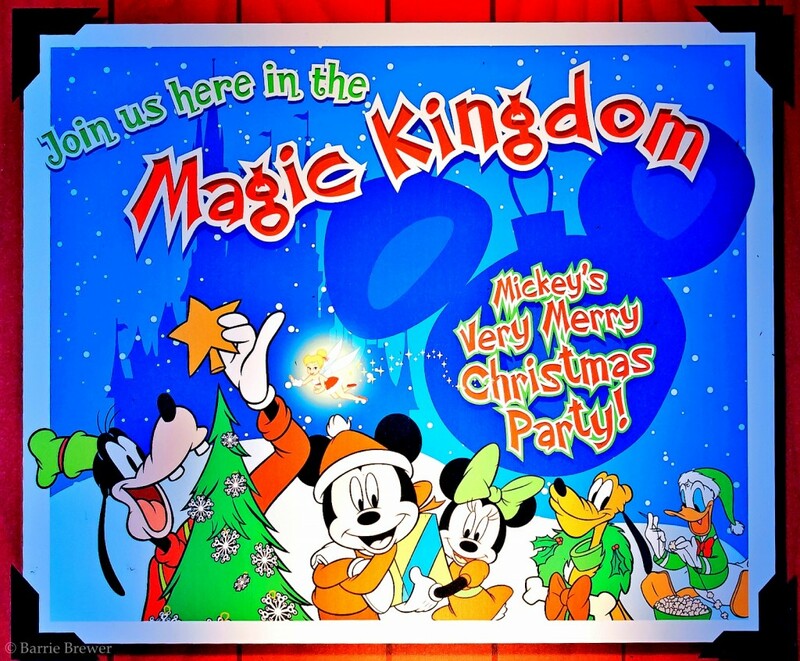 Get a special Sorcerers of the Magic Kingdom game card that is only available at Mickey’s Very Merry Christmas Party! Show your party ticket and wristband at the Main Street Firehouse to get the special card. 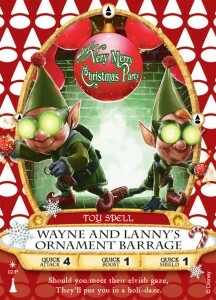 The Ornament Barrage card stars Prep and Landing’s Lanny and Wayne, and will be available only on party nights at Magic Kingdom Park. It might be Florida, but it’s still winter and the nights can be pretty chilly. I always bring along a hat and a pair of gloves or mittens to the party. There’s nothing like ice cold fingers to ruin a good time.